Asymmetry isn’t something we see particularly prominently in the motoring industry, is it? That’s probably why you might find yourself staring at these pictures, perhaps while inadvertently letting out a ‘hmmmmm’. 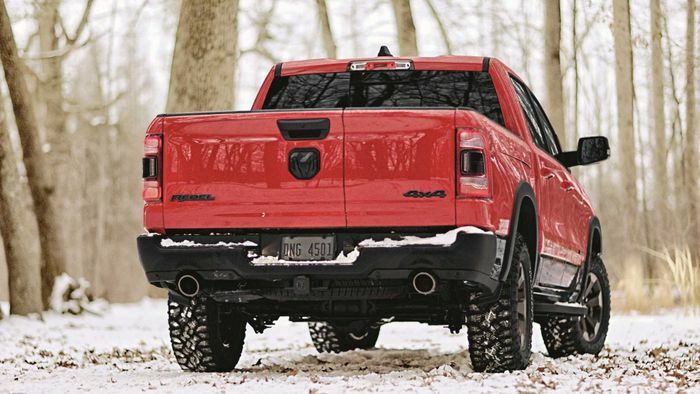 This strange asymmetrical ‘multifunction tailgate’ is an option on all seven versions of the Ram 1500 pick-up. The point of it? Ram says its about making loading items when you’re curbside much easier, while “Being able to access the bed closer to the bumper makes stepping up easier; makes loading bulky items easier; makes unloading and washout easier and allows forklift loading”. 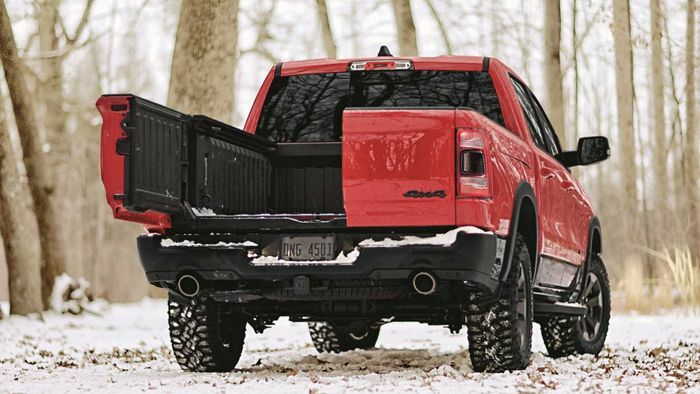 Ram is also keen to point out that the funky tailgate doesn’t - as other “multi-element” arrangements - require you to unhook a trailer before opening it. Handy. The 60/40-split tailgate is available for $995, and there’s also the option of adding a centre step for $295.